Elizabeth Klehfoth is returning to her hometown library as a published author. 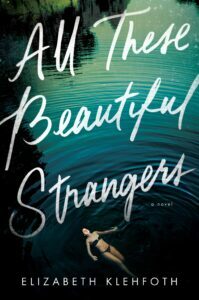 At 6:30 p.m. Tuesday, Dec. 11, Elkhart native Klehfoth will be reading from her debut novel, “All These Beautiful Strangers,” which was released in August. She’ll also be signing books. The event will be at the downtown library, 300 S. Second St.
Klehfoth says she grew up going to the Osolo Branch on Bristol Street before graduating from Central High School and going off to college. She earned a bachelor’s degree in creative writing from Chapman University and a master’s in fiction writing from Indiana University. “It’s very special to get to do a little reading, a signing at my hometown library,” she says. Her family still lives here, although Klehfoth is now based in Los Angeles. Getting her first novel published has been a lifelong dream. The idea for “All These Beautiful Strangers” came from watching the HBO documentary, “The Jinx,” about accused murderer Robert Durst. Klehfoth says after going through multiple rejections while she was in grad school, submitting manuscripts and sample chapters to publishers, finally seeing her published book and receiving feedback from readers has been rewarding. She traveled to England and Ireland during the release tour and is now back in Los Angeles working on her next novel, another mystery. However, she is quick to say she won’t commit to only writing in that genre going forward. “I just gravitate toward mysteries and suspense. I definitely like the page turners, but I read across a lot of genres so I don’t think I would box myself into a certain genre, for sure,” she says. 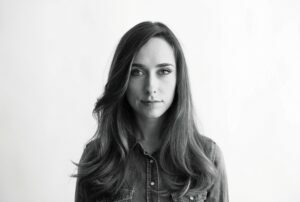 In addition to her debut novel, Klehfoth has been nominated for the Indiana Emerging Author Award, given by the Indianapolis Public Library Foundation.